Interpret "Lahti Symphony Orchestra & Jaakko Kuusisto"
is well known for his versatility to work within a wide range of genres. He is most known for his work with such bands as Stratovarius, Emma Salokoski Ensemble, Kotipelto and Crazy World. He has also released two solo albums, the critically acclaimed Lauri Porra (2005) and more recently All Children Have Superpowers (2008). He has also composed score music for TV-series and Movies such as the 2007 finnish hit movie V2: Jäätynyt enkeli. Lauri is a fourth generation musician, born 13 dec 1977 in Helsinki. He started to study music at age 6 when he started to play cello in a local music school. In 1993 he switched to bass guitar and continued his studies in the Helsinki Pop Jazz Conservatory (1994-2004) additionally he has taken lessons on piano, double bass, trumpet and male vocals. During 1997-1999 he sang with the renowned YL male choir performing for instance with the London Symphony Orchestra. has been referred to in the press as a "small-town wonder”. Over the past two decades, the orchestra – under the direction of its chief conductor, Osmo Vänskä (1988–2008) – has emerged as one of the most highly regarded orchestras in the world. Since 2000, the orchestra's home has been at the Sibelius Hall, the acoustics of which (designed by Artec Consultants) have drawn admirers from all over the world. 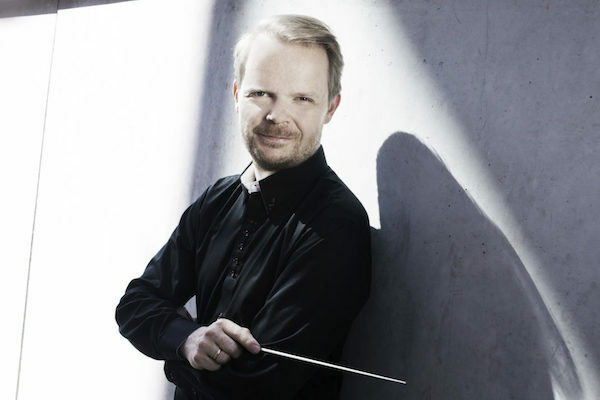 Jukka-Pekka Saraste worked as the artistic advisor of the orchestra in 2008–11, and in the autumn of 2011 Okko Kamu succeeded him as the principal conductor. The innovative spirit of the Lahti Symphony Orchestra is reflected in the numerous exceptional recording projects which it has undertaken. Almost without exception, all of the more than 80 recordings which the orchestra has made mainly for BIS Records (more than one million cds sold worldwide) have garnered praise from the international press. Since winning several awards for its recordings (including a Grand Prix du Disque in 1993, Gramophone Awards in 1991 and 1996, the Cannes Classical Award in 1997 and 2001, MIDEM Classical Award 2006 and Diapason d'Or de l'Année 2011), the orchestra has been a welcome guest at major international venues. The orchestra has had tours in e.g. South America, France, Japan, China and the USA and in addition it has performed at the Philharmonie in Berlin, at the Concertgebouw in Amsterdam, at the Musikverein in Vienna and at numerous music festivals, including the White Nights Festival in St. Petersburg and the BBC Proms in London.